Erin Pohl, former Director of Sales at the world-renowned Sherwood Country Club, has represented a number of illustrious business leaders, celebrities, and athletes in her 30+ year real estate career. Erin brings to the team her extensive property development and custom estates construction experience. Bob Pearson was the #1 individual sales agent (Westlake Village office) for 10 years and was ranked #6 in the nation prior to joining forces with Erin. Besides over thirty years of real estate experience, Bob’s background is in business management and education. Bob holds a CA Bureau of Real Estate Broker’s license. This highly successful partnership, formed in December 2000, has evolved into a multi-faceted, powerhouse team of professionals providing clients with the superior service and singular attention to detail that each client deserves. By including marketing, video, photographic, and internet specialists on the team and utilizing the best of today’s technology, Erin and Bob bring a uniquely full service focus to sales strategies and marketing techniques. The results are a comprehensive and tailored proactive marketing plan for each client. Ranked Conejo Valley’s #1 team and consistently recognized nationally for their outstanding sales performance, Erin Pohl and Bob Pearson are the premier Directors of Estates for Coldwell Banker Global Luxury – Westlake Village. Specializing in luxury real estate in Westlake Village, Lake Sherwood, Hidden Valley, North Ranch, Agoura Hills, Thousand Oaks, and Santa Rosa Valley, Erin and Bob combine more than 60 years of real estate experience to bring you the finest service, knowledge, and experience in the art of buying and selling exceptional homes. 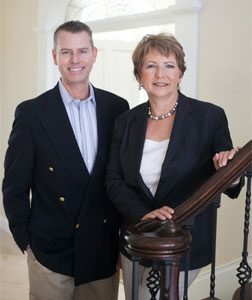 Erin and Bob’s team includes licensed associates as well as print and on-line marketing experts, home staging specialists, leading architectural and photography professionals, and “virtual realty” videographers to bring you state-of-the-art expertise and unparalleled results. All primary team members are fully licensed real estate agents, which means that there is always a qualified professional available and ready to help you and those interested in your home.